Ask anyone who has studied in the past, and they’re bound to tell you that the time you spend as a student is the most intriguing time of your life. You’ve taken the first step in becoming a student in the flourishing Dutch capital city already, now it’s time to make the next by diving into Amsterdam’s vibrant student life. Being a student encompasses so much more than studying alone, and we at SSRA are eager to prove that to you! 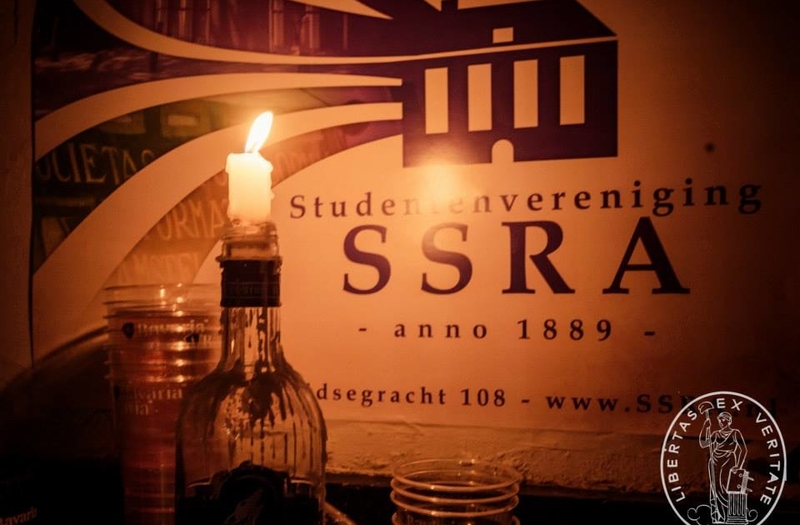 SSRA is a long-standing students’ association located at the Leidsegracht, a stone’s throw away from Leidseplein, Amsterdam’s nightlife centre. While the vast majority of our member are Dutch, the share of international students with a longterm study has seen a steady increase in recent years. Joining SSRA allows you to experience Dutch student life to the fullest, and also helps you feel at home in a new city by learning the language and traditions. Furthermore, expanding your network in Amsterdam can greatly increase your chance of finding a room in Amsterdam! Unfortunately we do not offer rooms ourselves. Throughout the year, our committees and members regularly organize activities, including theme parties, a gala, and all sorts of competitions. Members can also join our indoor football and hockey teams, which compete in local competitions. Students of all universities and fields of study are welcome! The membership lasts for 3 years and is certainly attainable for international students. Feel free to stop by at any of our organised activities, or send an email to praeses@ssra.nl if you would like some more information about our student association.